Countrywide products span the Farming, Smallholder, Equestrian, Rural Business and Country Home sectors. With a 100 year heritage they are a fantastic client to welcome into our fold. How did we form this relationship? The Media Group identi ed Countrywide Farmers as a company that we wanted to work with. As a growing retail business with locations throughout the UK their business model was a great t for the range of products and services that we provide. We were unknown to the marketing team and the marketing team were new to handling the store makeovers as historically they had been managed by a different department. So the challenge was twofold a new supplier and a new team. We received the brief for the stores which included new and replacement signage. After studying the brief and conducting detailed surveys we proposed ideas that would improve the look of their existing products and also reduce the overall cost. 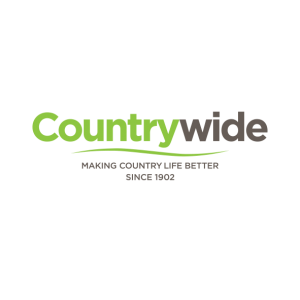 Countrywide liked our recommendations and appreciated the professional and informative approach we delivered. Media Group had a very tight deadline to work to and without delay swung into production to produce the in store POS and external signage. Our expert fitting teams were commissioned to handle the installations. The result was a rst class job on time and under budget. We had a visit today from the Chairman of the Board, the CEO and the Director team at Thornbury store to review the re t and refurb. The feedback was really strong and the Chairman gave the store and signage a huge 10/10 for the finished package.